More than meets the... hell is that? Picture this, if you will, what if Hasbro made Animorphs toys? What if they made a transforming toy line based on Animorphs? Oh hey, doesn't Hasbro already have a toy line like that? 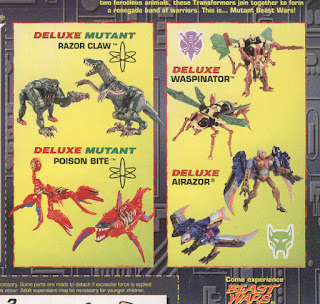 What if they put the Transformers logo on the packaging and stocked them with the Beast Wars toys? Hasbro put the Transformers logo on Animorphs toys to basically help sell them. 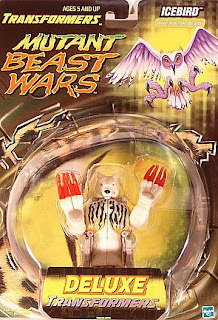 Beast Wars was still a powerhouse on the store shelves and another animal based Transformers toyline had to sell like hotcakes right? The toys were stocked with the BW toys regardless of the actual lack of relation. It landed with a dull thud. The toys just didn't sell for any number of reasons. Within the TF fandom, they were regarded poorly and called every negative thing one could imagine. Personally I wasn't sold either and just focused on the new Transmetal 2 toys arriving on shelves. So, it didn't take long for them to get marked down for low clearance prices. Which is pretty much where I came in. Being a broke community college student, the idea of a $3 TF was too tempting to pass up. So I started buying them. I knew going in that these were not my beloved BW toys. I knew they were abominations and I was supposed to feel ashamed of myself for buying them. I kept it secret. My shame in giving these bastards a home was deep. Ok, maybe not to deep. Turns out, they were really good toys. As time went on, the clearance supply dried out (never got that Tobias hawk, and still kicking myself for passing on the T-Rex Combiner) and my nights of $3 action figure fun was over. I proudly stood my Animorphs next to my Beast Warriors and took up for the dark horse in the TF section. Luck would have it that Hasbro found a way to release some unused Animorphs molds in Beast Wars, as the new Mutants sub line. The new figures transformed from one animal to another! The human kibble was remolded into robot kibble. 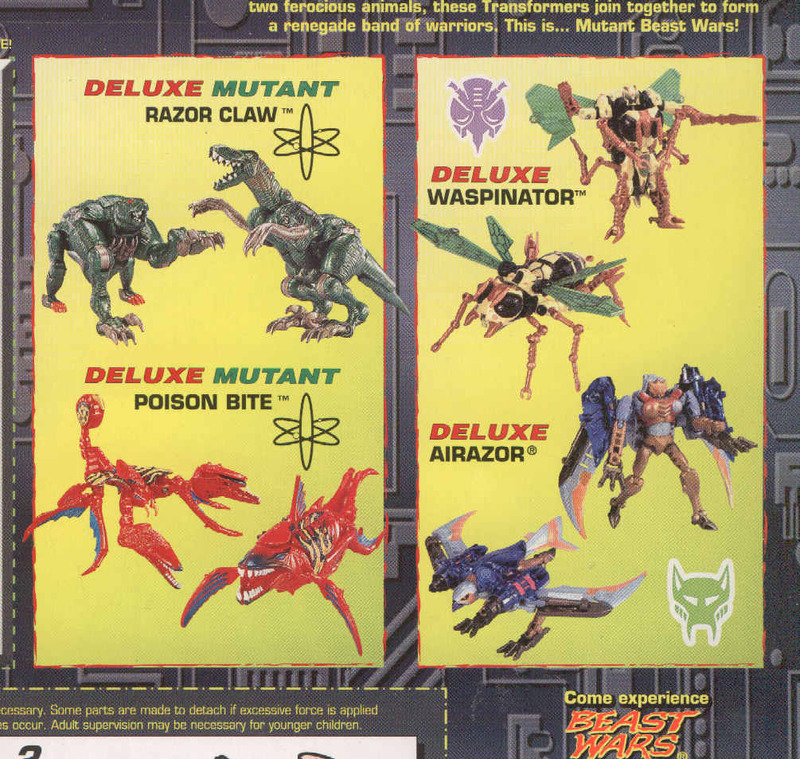 What resulted was a short lived and controversial Transformers toy line. Of course I loved them. I loved the Mutants so much, I held onto hope that the line would continue and maybe even get animated. Of course I was dreaming an impossible dream and the Mutants left as quickly as they arrived. During the original Universe line, rumor had it that the Animorphs molds were to be used as Pretenders (that could of been awesome) and the Mutants Soundwave mold was planned to get a use in the canceled Walmart Halloween Horrorcon toys. I know I'm alone in my enjoyment of a failed Transformers toyline. Or practically alone, but I don't care. I had a really fun time with the toys when they were out. Not everyone can say that, or would be willing to give them a chance. But it gives me a chance to be hipster over something.